I’m standing in a dark room. I hear rain falling outside. A man says, “It was raining. And I stood for a few minutes lost in the beauty of it. If only there could be something equivalent to rain falling inside. Then the whole of a room would take on shape and dimension.” Suddenly, the sound of the rain is coming from within the room. As I gaze around, I see dim shapes of ordinary household items—a pot, a pan, a bowl. They mysteriously change color and then transform into a slow burst of iridescent light. I can almost feel the raindrops. The man says, “Why should this experience strike one as being beautiful? Cognition is beautiful. It’s beautiful to know.” The rain becomes a downpour, and the sound blends with beautiful, melancholy music. This may sound like I’m dreaming (or hallucinating). But it’s an attempt to describe what I saw and heard in “Notes on Blindness,” a powerful virtual reality (VR) “experience” (the term for these 360-degree interactive movies). It accompanies a documentary on the writer and philosopher John Hull as he began to lose his sight. “Notes on Blindness” is just one example of how VR is taking off in a new direction. 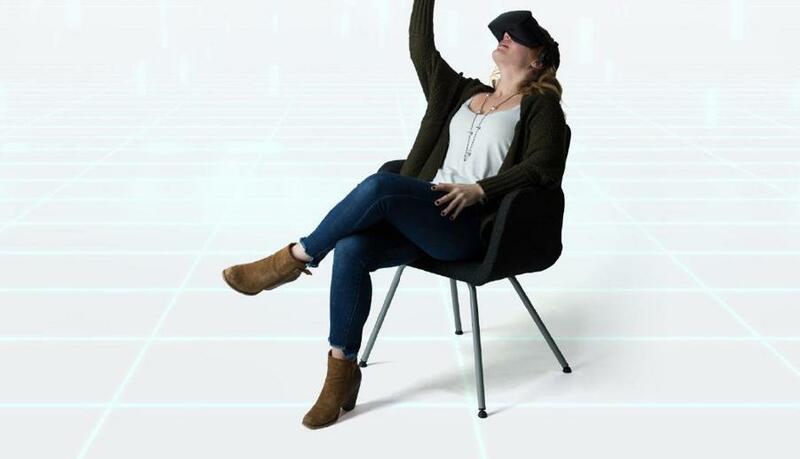 It’s a turn from the more commonly known fictional VR worlds in gaming, which uses 360-degree video and computer-generated graphics (CGI) to immerse you in, say, an ethereal landscape on a make-believe distant planet or a highly detailed reconstructed set of your favorite science-fiction movie. Companies like Audi and IMAX are experimenting with how to cash in on virtual reality. But so far, public excitement about the technology is muted.